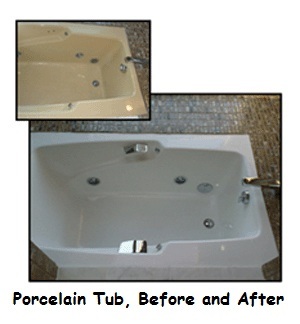 The Bathtub Medic is here to get your porcelain or fiberglass tub or shower looking new again. We employ only trained, professional workmen with experience in the field, ensuring your repair or refinishing project meets and exceeds your expectations. 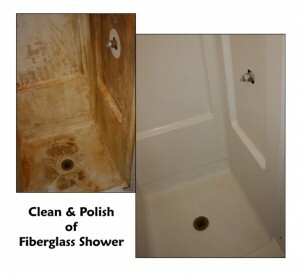 We repair chips in the tub or the surrounding tiles, or we can refinish the entire tub or shower, leaving you with a bathroom that looks brand new. 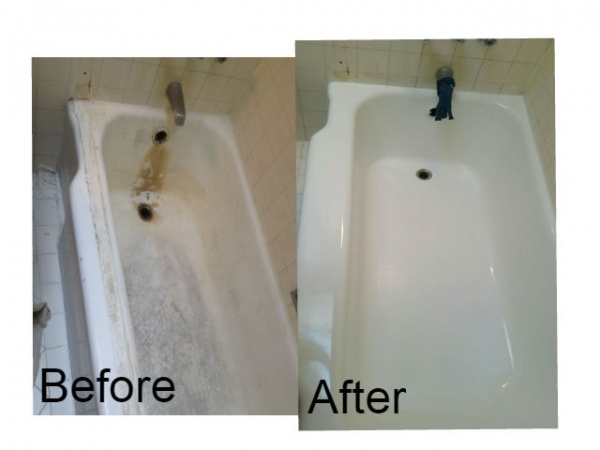 Moreover, our services come backed by a written guarantee: five years on tub, shower, or tile refinishing, and one year on spot repairs. 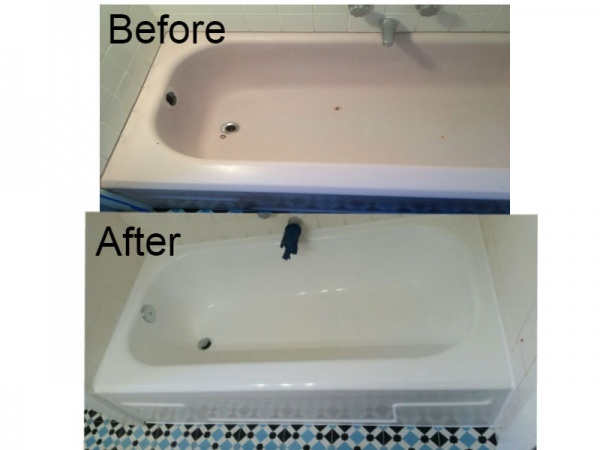 The Bathtub Medic offers a second low cost alternative to bathtub refinishing. We can simply clean and polish the fiberglass, making it look shiny and attractive, and it is more economical than bathtub refinishing. For fiberglass bathtubs with structural cracks, The Bathtub Medic reinforces the underside of the tub with wood, body filler, and concrete. We then install a new floor on top of the existing tub floor. 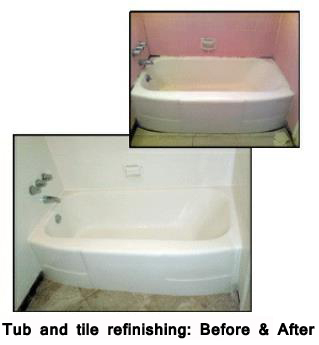 The result is an attractive, long term repair, extending the life of the fiberglass bathtub. For customers who like the look of tile, refinishing is a way of giving a new coating to wall tile, which seals and beautifies the tile and grout and makes them much easier to keep clean. 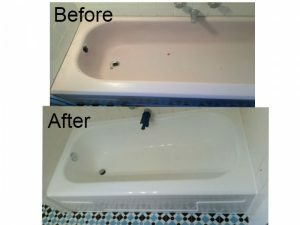 In addition, it allows a homeowner to change the color of the tile at a fraction of the cost of replacement. For help making your bathtub or shower more aesthetically pleasing, or if you have questions about any of our services, contact us today!